Is your dog an aggressive chewer? Does he dig up his bedding and try to push it aside? Do you have a puppy that may be going through a chewing stage? If so you will want to request our “lock down system” with your pad. There is no additional charge for this. 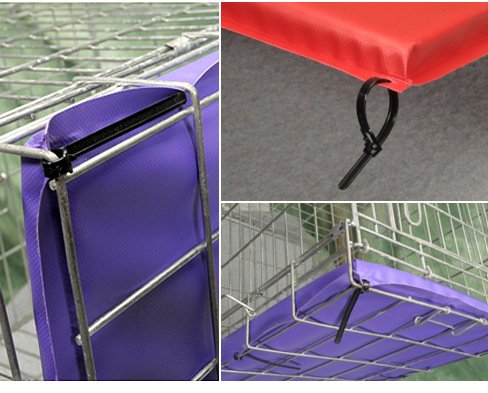 Primo Pads offer re-closeable zip ties that are strategically placed along all four sides of your crate pad. To use this feature you must remove the plastic tray from your crate. Secure ties to the underside bars of your metal crate. Make sure that the ties are under the crate where the dog can not get to them. The ties can be opened and the pad removed from your crate for cleaning and then reattached.